If you are a dog owner, then you understand the unlimited love that dwells inside each and every dog. This week we celebrate the first birthday of our critter Paisley, and we could not be happier. When we invite a dog into our lives, we are quietly entering a commitment to care for and love our friend to the best of our ability for all of their days, as it should be. Be sure not to repay their love by ensuring their demise via cancer. Like with humans, most everything we place on our skin ends up inside us traveling through the bloodstream. So if you spray your lawn with pesticides or herbicides or especially if you have a professional service do it then you are very likely poisoning your dog. 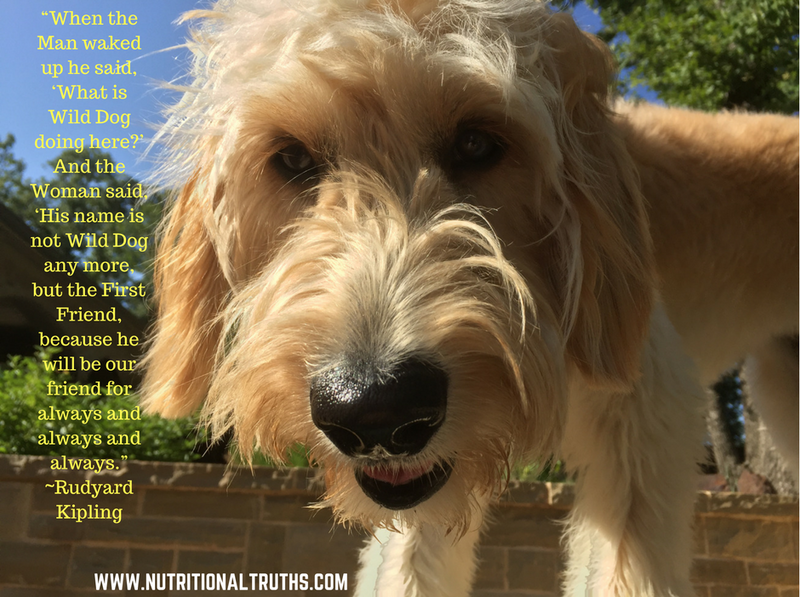 Do right by your pooch and stop dosing them with toxins, if you have been. The same also applies to outdoor kitties. If you live in an apartment or condo then find out what toxins are applied to the grass they walk upon at your complex and/or the park because your dog is taking it in transdermally through the pads of their feet, inhalation, and from licking anything that has been sprayed or licking it off of themselves. Study after study has shown increased cancer rates as much as 70 percent of dogs exposed to those pesticides and herbicides. And it can also come from neighboring lawns or parks up to 50 feet away. 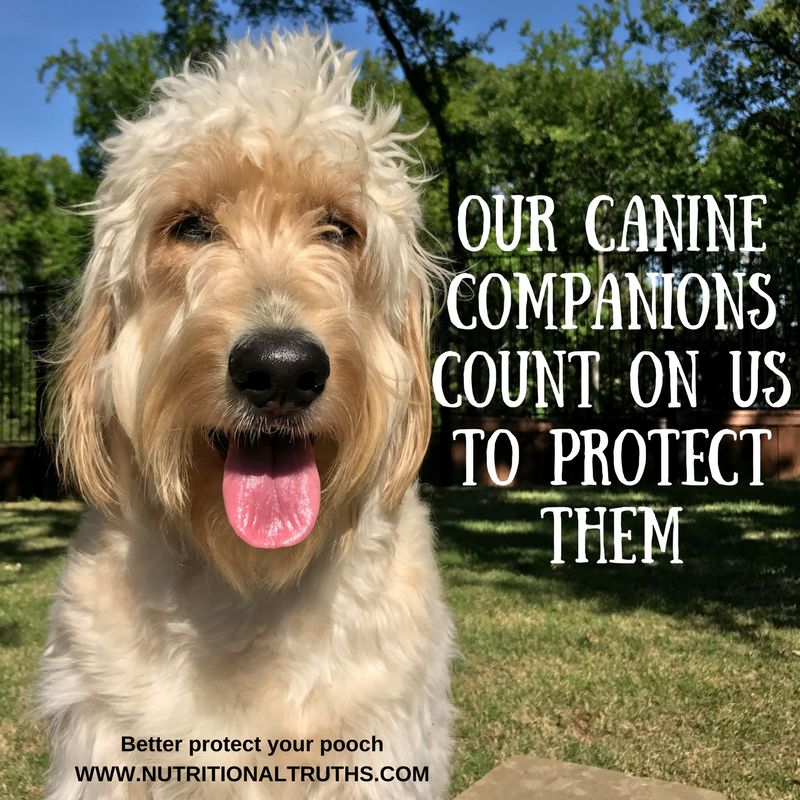 If your best friend is over fifty pounds, they are at the highest risk of all. What you feed your four-legged friends should be species specific and without grains or fillers. The basis of good health for them as for us is within proper nutrition, water and avoiding exposure to toxins. To better care for your canine friend don’t use pesticides or herbicides on your lawn and make sure your neighbor is not using toxic chemicals that may easily be a risk to your pets. Consider removing the threat altogether by keeping them from grass that may contain such toxins. Bathe your pup or give them a good foot soak if they get exposed to treated grass. There are several options for lawn care that won’t harm your pet just look for organic solutions and further push synthetics out of you and your pets world for a healthier longer life. Investigate further online and share this blog with everyone who loves their pooch. Have a wonderful weekend now go play with your canine and Be Well!